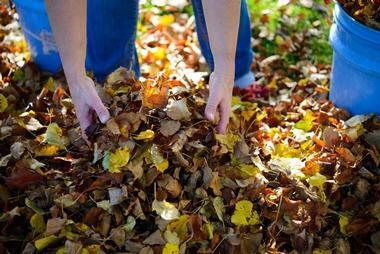 Massachusetts is known for its abundance of things to see and do. Visit the famous Nantucket Island, Martha’s Vineyard, and Cape Cod which are like their own hidden worlds, complete with picturesque lighthouses and excellent beaches. 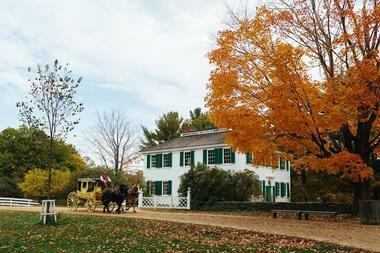 Western Massachusetts offers stunning fall foliage and many unique museums. There’s also music at Springfield's Symphony Hall and hoops at the Basketball Hall of Fame as well as some of the world’s most idyllic college towns like Northampton and Amherst. Here are the best things to do in Massachusetts. This museum, founded in 1969 with the help of Molly and Norman Rockwell, houses the world’s largest and most significant collection of Rockwell’s work, featuring 998 original drawings and paintings. It covers the artist’s contributions to society, social commentary, and popular culture. The artist spent the last 25 years of his life in Stockbridge and Rockwell’s original Stockbridge studio, which was moved to the new museum site, is now also home to the artist’s archives. 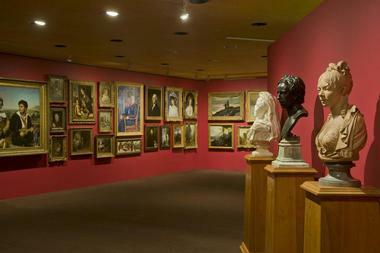 The museum gallery building was designed by Robert A. M. Stern. Founded in 1799, this is a museum of international culture and art committed to connecting art to the world. The museum’s mission is to celebrate cultural and artistic creativity by stewarding, collecting, and interpreting objects of art and culture. 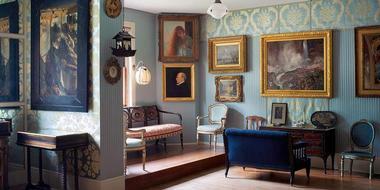 It was among the first museums in the nation to collect art and culture from around the world. 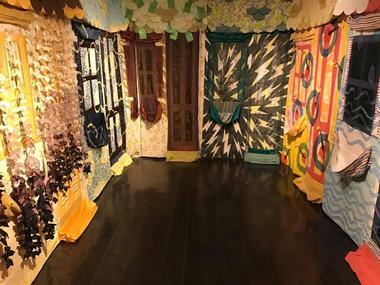 Its current collections range from contemporary and historic American to Maritime, Asian, Oceanic, African, and Native American art and culture and it has an archival library as well as historic Chinese and American houses. A trip to this village brings you to the doorstep of the Northeast’s biggest outdoor history museum and calls to mind the 1830s in a rural New England town setting. Visitors are invited to visit the over 40 authentic buildings, featuring meetinghouses, homes, a district school, bank, country store, working farm, various trade shops, and three water-powered mills, all found on over 200 attractive acres. Guests can also get to know heritage breed farm animals and meet staff dressed in period costumes. The village is a learning resource and a showcase of life in 19th century New England and invites all its visitors to explore its rich history. In the late 1780s, the Hancock Shaker Village got off the ground when about 100 Believers created a community on land donated by fellow Believers. By the 1830s, the community peaked with 300+ Believers on more than 3,000 acres. 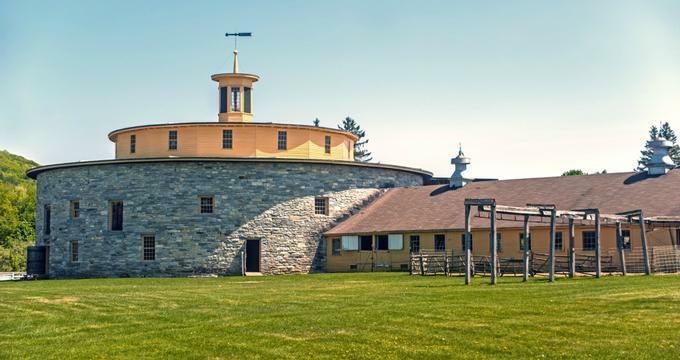 During the height of their growth and religiosity, these Shakers built barns, workshops, dwelling houses, and other buildings, thus creating a big, successful farm. 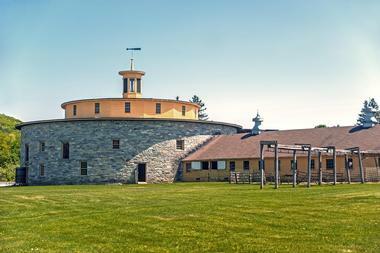 The 1826 Round Stone Barn became the center of a thriving dairy industry. These people relished a peaceful and hard-working life, separate from “The World.” Eventually, forces prevented them from growing their community, and in 1959, when they were unable to remain true to the principles, they sold their property to a group that vowed to preserve their heritage. The Clark Art Institute is one of the few institutions in the world with a two-fold purpose as a research center for higher education and an art museum. Its collection features American and European sculpture, paintings, prints, photographs, drawings, and decorative arts from the Renaissance to the early 20th century. The museum has a large concentration of French Impressionist and Academic paintings, British silver, oil sketches, drawings, and the work of American artists George Inness, John Singer Sargent, and Winslow Homer. Originally based on the founding gift from Francine and Sterling and Clark, its collection has expanded through acquisitions as well as bequests and gifts. Caroline Emmerton, a philanthropist and preservationist, founded the present-day museum to assist immigrant families who were settling in Salem. Inspired by Jane Adam’s Hull House, she purchased what was the old Turner Mansion in 1908 and restored it to its original seven gables. Emmerton’s goal was to preserve the house for future generations, to provide educational opportunities for visitors, and to use the proceeds from the tours to fund her settlement programs. So the Turner-Ingersoll Mansion, known popularly as the House of the Seven Gables, has survived with many of its original period features from the 17th and 18th centuries intact. 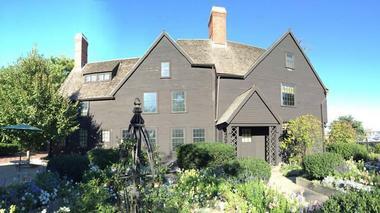 Over the last century, the House of the Seven Gables has continued to focus on its founder’s mission of preservation, education, and community service. The museum was founded in 1903 and has a strong relationship with the communities it serves, offering a library of logbooks, journals, prints, a scrimshaw collection, Japanese whaling literature and art, and marine paintings. Its complete coverage of 19th and 20th century whaling technology makes it a renowned destination for research. Visitors can see the Lagoda, the world’s largest model ship from 1916, and the museum displays complete skeletons of four species, including the blue whale. Over generations, Fenway Park – home to the Boston Red Sox – has remained much as it was the day it opened on April 20, 1912. Once spectators come to a game, they instantly see why the park is so beloved. It is uniquely a part of the city of Boston itself and if you take a tour of the park you can see a place where traditions are celebrated, dreams are made, and baseball is forever. Guests can see the home of Red Sox legends, observe Pesky's Pole firsthand, and sit on top of the so-called Green Monster that reaches more than 37 feet high and overlooks leftfield. Well-informed tour guides offer a memorable one-hour walking tour of the park and other tours are available – including in Japanese and Spanish with advanced notice. All fans are welcome at Fenway Park, the pulse of the Red Sox Nation. Established in 1837, the Boston Public Garden was the country’s first public botanical garden. The Parks Department remains true to its Victorian traditions, so visitors can continue to admire unusual and rich plants, the fountains, the lagoon, the monuments, and the swan boats, which were created and have been operated by the Paget family for more than 100 years. The Recreation Department and Boston Parks grow the plants used in the garden and more than 80 plant species are being cultivated for future planting in the garden and in over 50 locations throughout Boston. In 1934, certain Berkshire summer residents made arrangements for the New York Philharmonic to hold three outdoor concerts at Interlocken. In 1936, Serge Koussevitzky and the Boston Symphony Orchestra were invited and they accepted. Mrs. Brooks and Miss Tappan offered Tanglewood, the Tappan family estate, as a gift to Koussevitzky and the orchestra. 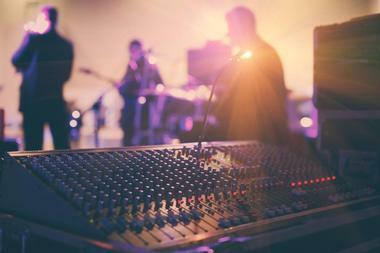 In August 1937, the festival's largest audience thus assembled for the first Tanglewood concert. 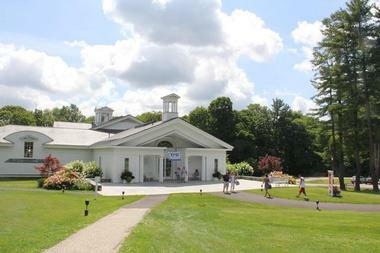 Today, Tanglewood draws more than 350,000 visitors annually and each season offers a vast spectrum of music. The first MFA was opened on July 4, 1876, in Copley Square, when it was home to 5,600 works of art. In 1909, the MFA moved to Huntington Avenue and is currently one of the most significant art museums in the world. 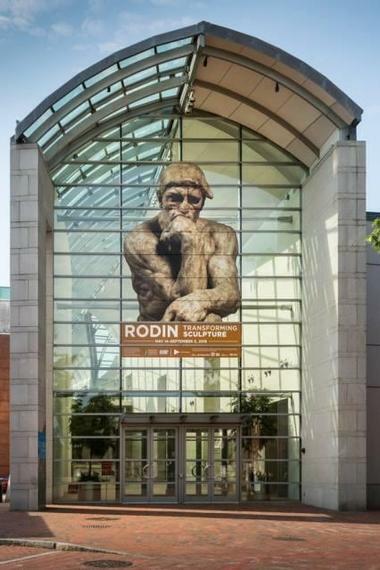 Its collection contains almost 500,000 pieces of art and the museum welcomes over one million visitors annually. The collection features everything from ancient Egyptian to contemporary art as well as special exhibitions and innovative educational programs. The year 2010 was marked by the opening of the Art of the Americas Wing, displaying American art ranging from ancient to modern. In the subsequent year, the west wing of the museum was transformed into new galleries for social and learning spaces and contemporary art. New galleries for Asian, European, and African art opened in 2013 and more improvements are forthcoming. 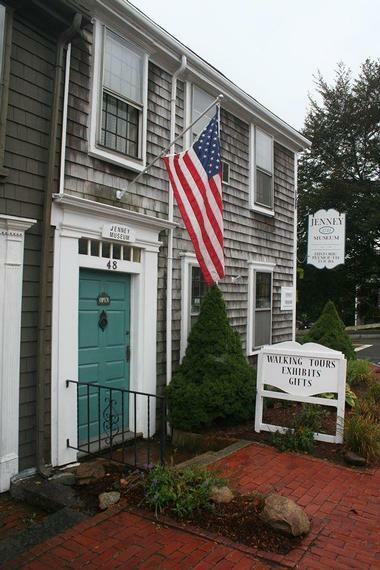 In 2005, the Nantucket Whaling Museum’s restoration included a restored 19th century candle factory. Among its primary attractions are the film Nantucket by Ric Burns, a 46-foot sperm whale skeleton, the Fresnel lens from the Sankaty Head Lighthouse, a restored tower clock from 1881, scrimshaw, decorative arts, paintings, lightship baskets, and portraits of sea-faring women and men. In 2008, the museum was accredited by the American Association of Museums. 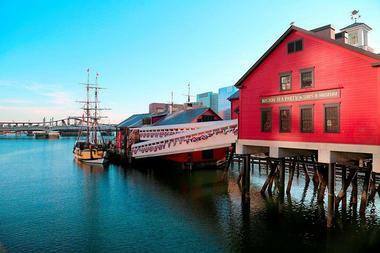 The Boston Tea Party Ships & Museum tells the story of this historic event through the replicas of the three ships involved. On that fateful evening of December 16, 1773, three ships – built and owned by Americans – had arrived from London carrying a cargo of tea. They were “staying” in Boston Harbor and 340 chests of British East India Company tea, weighing 92,000+ pounds, were dumped overboard. The estimated value of the cargo in today’s terms is over $1.7 million dollars. Thousands witnessed the event, which ultimately helped spark the American Revolution. This museum opened in 1903 with a visual arts and musical celebration. Today, it is a collection of decorative and fine art and a vibrant venue for contemporary musicians, scholars, and artists. The museum is located in a marvelous 15th century Venetian-style palace with three stories of galleries surrounding a courtyard in full bloom. The collection features more than 2,500 sculptures, paintings, tapestries, rare books, manuscripts, furniture, and decorative arts. In the galleries, visitors can find works by Rembrandt, Titian, Raphael, Michelangelo, Botticelli, Degas, Manet, Sargent, and Whistler. It is a singular treasure. Capture the spirit of yesteryear in Salem on this award-winning, 90-minute walking tour, available daily and throughout the year. Learn the truth about the Salem Witch Trials and the hysteria that went along with them. 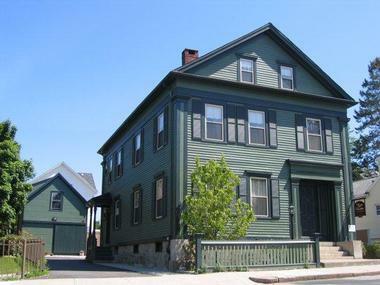 Discover the real story of the town’s infamous murder and see how Salem locations were used in the blockbuster movie Hocus Pocus. 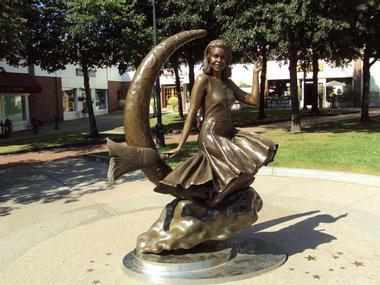 More than fifteen stops constitute the tour route, which features Salem's old jail, the Witch Trial Memorial, and the field where Giles Corey encountered his famous death. Also, visitors can see the grave of a judge who was part of the witch trial hysteria. Have you ever wondered about Salem’s curse? You’ll hear all about it on this tour. Tours of this B&B and Museum are offered every hour between 11 am and 3 pm, seven days a week, 363 days a year. The tour guides only take a break at Thanksgiving and Christmas. The tour takes about 50 minutes and guests do not need a reservation for the tour unless there are 10 or more in the group. Boston’s single colonial-era printing operation opened in 2011 and sits alongside the Freedom Trail. 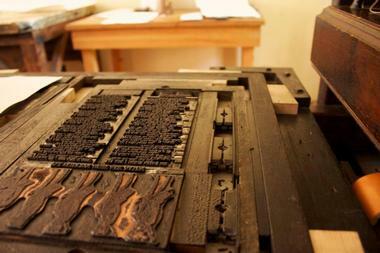 With the opening of the colonial print shop, visitors have the chance to engage with historians working their trade in the pre-revolutionary city. Their forefathers were there when citizen anger over British policies broke out. This setting enables a certain level of understanding of how this era in printing spurred communities and ignited a revolution, as historians tend to agree that Boston’s Patriot press played a key role in America’s rebellious rise towards independence. Adams National Historic Park was home to two American presidents and generations of descendants – all the way to 1927. The entire family's experience represented, mirrored, and shaped events in the cultural, social, political, and intellectual history of the country. The park’s purpose is to protect and preserve the homes, grounds, and personal property of the four generations of the Adams family and to utilize the resources to interpret history and educate the public. The Adams Memorial Society, whose membership consists of Adams family offspring, asked the National Park Service to "foster civic virtue and patriotism" at the park. If you are planning an evening out in Great Barrington, check first what is going on at the Mahaiwe Performing Arts Center. 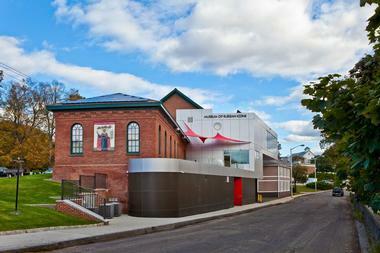 The town's only performance space, the center offers high quality music concerts, dance, theatre, movies, and opera. It is located in the historic Mahaiwe building, which has operated as a performance space since 1905. At first it was a vaudeville house, then a movie house, before hosting the Berkshire Opera Company and finally becoming a home for the Mahaiwe Performing Arts Center. Besides the lively entertainment program, the center also offers an educational program that includes world-class theatrical performances, music and dance, and in-school and at the theater field trips. The mission of the Jenney Museum is to bring the story of the Pilgrims to life to visitors from all over the world, the country, and the local community. Tours are given of the original site of Plimoth Plantation, the historic district, as well as the National Monument to the Forefathers. The house, built in 1749, currently contains three exhibits, the Pursuit of Happiness, Family - Cornerstone of Society, and The Abolitionists. There is a gift shop which sells many books on the Pilgrims and the Founders as well as local art and foods. The Museum is committed to preserving Plymouth’s history, from the days of the Pilgrims to the present day. The MIT museum engages the broader community with MIT’s technology, science, and other areas of scholarship so that they will best serve the world and this nation in the 21st century. The museum fulfills its mission by preserving and collecting objects that are central to the life of the university, creating programs and exhibits with roots firmly in MIT’s areas of scope and connecting MIT staff, faculty, and students with the broader community. The museum collects, preserves, and exhibits materials for the study and interpretation of the social history, educational, and intellectual story of MIT and its role in the development of modern science and technology. The Museum of Russian Icons celebrates the Russian tradition of sacred icon paintings used within the culture's Orthodox religious tradition, showcasing more than 1,000 icons spanning more than six centuries of human culture. 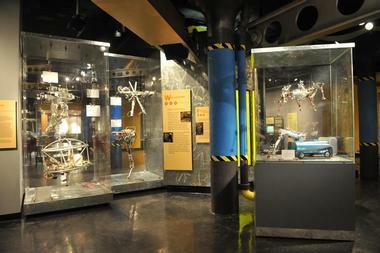 The Clinton museum was the vision of engineer Gordon B. Lankton, who began collecting icons in the 1980s as a personal hobby. Today, the museum is housed within a century-old mill building that was expanded in 2010 to include a nearby former police station and courthouse structure. As the United States' only museum dedicated to the display of icons, the museum showcases the largest collection of the paintings outside Russia, along with temporary rotating exhibits of works by Russian artists and crafters. The museum's Tea Room serves up a variety of traditional Russian teas, beverages, chocolates, and snacks for visitors to enjoy. This whale watching experience combines adventure, science, and fun in a protected marine habitat. Dr. Carole Carlson and the Dolphin Fleet have developed a presentation aboard the vessels, telling a compelling story about how the whales make their home in Stellwagen Bank and how the smallest microscopic plant and animal marine life is connected to the whales in a food chain that thrives on the geological formations within the Stellwagen Bank and Cape Cod Bay marine habitats. Passengers joining these trips are given the Naturalist’s Guide, a comprehensive field guide to Stellwagen Bank illustrating the connections of small and great creatures both winged and finned. Of course, nothing can prepare guests for their initial whale sightings. 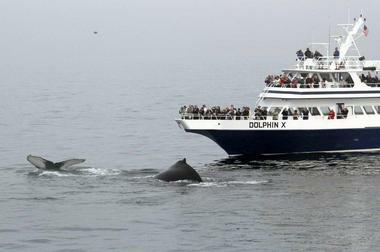 The tours generally see humpback whales in Cape Cod Bay and Stellwagen Bank during the season. These animals come here to replace their body fat after migrating from the Caribbean, where they give birth. There are frequent sightings of mother and calf pairs, and guests often see mothers teaching their young how to leap out of the water after a long dive. The trail is actually a 2.5-mile route following a red line that leads visitors to 16 “treasures” that include meetinghouses, museums, burial grounds, and churches – all significant historic sites. Along the way, visitors uncover truths about the people who shaped the nation by discovering the history of the American Revolution. Discounted tour tickets are available online. The Faneuil Hall Marketplace is really four attractions at one site – Quincy Market, Faneuil Hall, South Market, and North Market – all gathered around a cobblestone walkway where magicians, jugglers, and musicians entertain the public. The atmosphere is inviting to all, so go ahead and explore everything, including the delicious array of food. 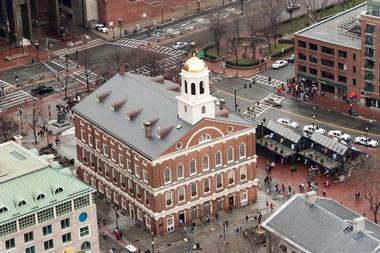 Way back in 1742, Peter Faneuil, a wealthy Boston merchant, built Faneuil Hall as his gift to Boston. Today, what is commonly referred to as Faneuil Hall Marketplace is still the city’s central hub and entertains over 18 million visitors each year.